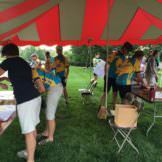 KBC members help at KalTours 2016 registration tent. 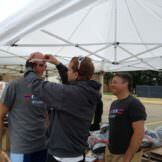 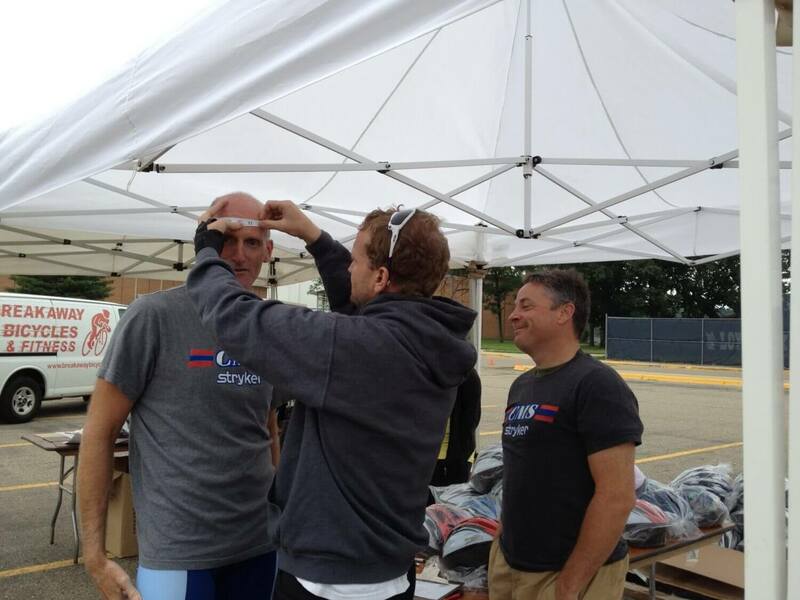 KBC and Race Team members help with helmet distribution and fits at Safe Kids Bicycle Safety Camp, August 2013. 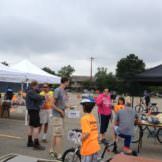 Volunteers are the heart of any volunteer-run organization. 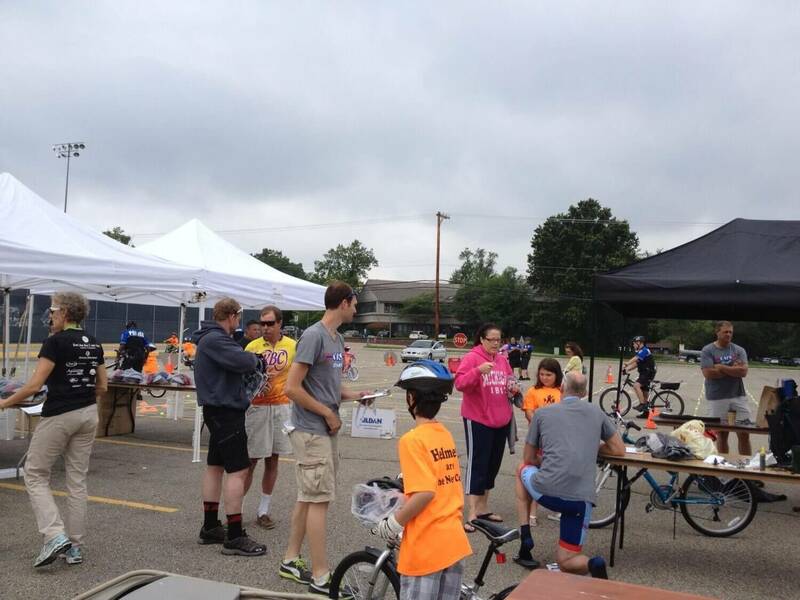 KBC has dedicated members who volunteer at a variety of events in our community throughout the year. 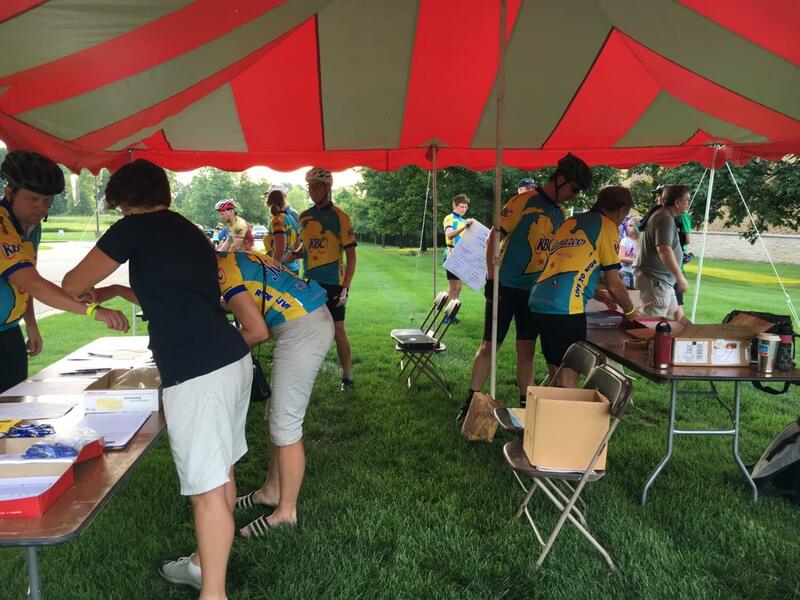 For more information about volunteering with KBC, please email volunteers@kalamazoobicycleclub.org.